Relax in a hammock or Adirondack chairs and watch the river float by. 100-year-old cottage welcomes families and friends. Household amenities: 3 river kayaks, TV, wifi, sun porch, day beds ideal for reading (naps), alfresco dining, pretentious lawn sports (croquet, bocci), full modern kitchen. Nearby entertainment: Goodspeed Opera House, colonial Essex, Mystic seaport, hiking, mountain biking, road biking, CT shoreline beaches. Here’s our only buzzkill - we have too much water (which is the charm of the place, being so close to river). So we must ask you to be nearly-irrationally conservative with water. Hopefully being conservative with water use isn’t a turn-off. Cuz once you’re at our house, you’ll relax and it’ll be a non-issue. I'm an artist in New York City, but would happily move my family permanently to Lyme, if I could. This getaway is my sanctuary. And it's too wonderful NOT to share. This home is my family's escape from urban life. The house belonged to my partner's 1st grade teacher, who also taught alongside his mother. It's got a lot of sentimental value. The location is astounding and watching all 4 seasons from the yard or the glassed-in porch restores anyone's soul. It's a small house on a small piece of property, but it's the perfect size for restoring your relationship with nature. It's cozy and welcoming and warm and hospitable. We really love sharing it. Great home to get away from the hustle and bustle of the city. There were six of us staying in the home for a wedding in a town nearby and we fit comfortably. The water restrictions wasn't much of an issue. You just have to plan accordingly. The home was right on the water and there was a ton of boat traffic since the weather was beautiful. Great yard to sit and watch the different kinds of boats that use the waterway and sip on a nice cold beverage. The host was responsive and very helpful in answering our questions. There is a lot to do in the area. On a down day, we ended up going on a sunset cruise. There are a couple to choose from in the area. There are also beaches, a castle to tour, and some hiking trails to name just a few. If given the option to stay again, we definitely will be back. Gavin and his family were gracious hosts. 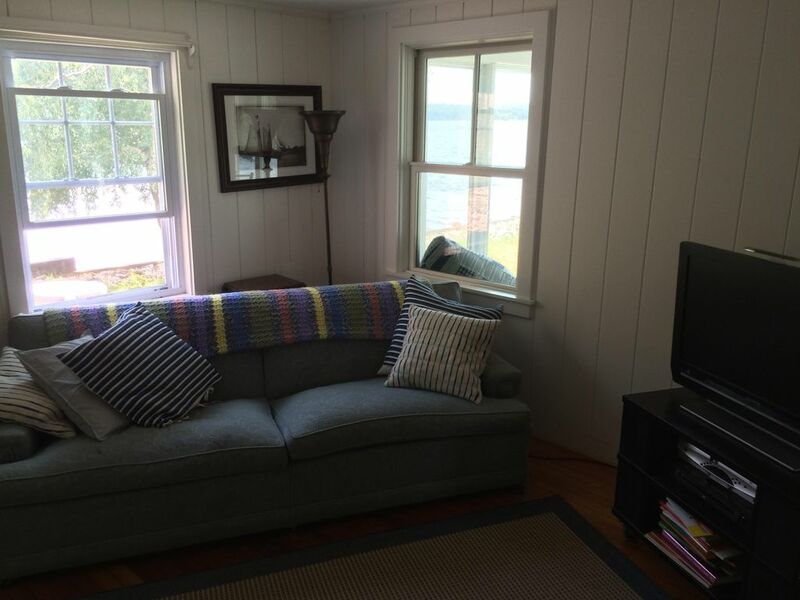 My family of 8 were perfectly comfortable in the cozy and picturesque waterfront home. The yard had ample running around room. We loved having dinner in the dining room where we could open the windows and feel the cool breeze. On rainy nights there was more than enough room to watch movies in the living room. We visited nearby Niantic Bay. Plenty to do around town. I highly recommend this beautiful and magical property. Much thanks to Gavin for being very informative and welcoming.